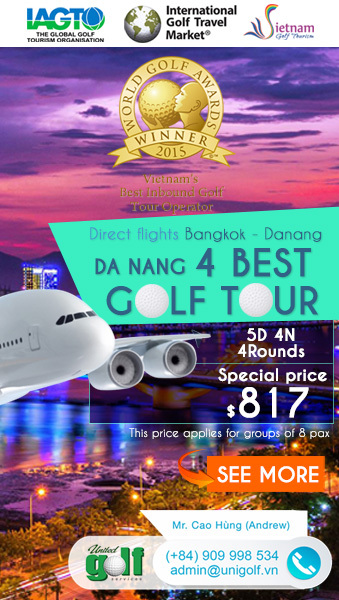 Located in the new urban area of Binh Duong Province, the championship course is the first “Members-only” golf course in the South of Vietnam. Twin Doves offers a peaceful view over surrounding rural Vietnam countryside from 27 holes of championship international golf just an hour from Ho Chi Minh city. The course is a golfer’s paradise where the companions of natural elements: hills, creeks, trees and newly created lakes, golf are coupled in perfect harmony, nature is alive and inspired. The philosophy of the designer is to work with nature, not against it…using the site’s intrinsic features to determine what goes where, find and pick up the potential rather than change local landscape. The course look and feels as if it has always been here for a long time. 27 holes of the course are divided into three nines: Luna, Stella, and Sole that can be played in three unique combinations make playing a different course each time, rotating the nines keeps it fresh. The Luna courses measures 3,605 yards and are set among rolling kettle hills and some of the most scenic wooded natural terrain the area has to offer. 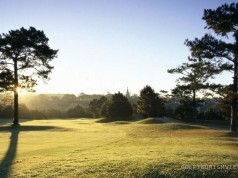 Five of the holes are connected by rolling hills and the rest are completely separated, with narrow fairways lined. The course measures 3525 yards from the longest tee, the fairway corridors significantly shrink on the “Stella” nine, choked by a thick layer of more traditional trees. This is an amazing course where most the greens are isolated into the target zones where is in the middle of the lakes that can help you improve both the distance and accuracy of your drives. 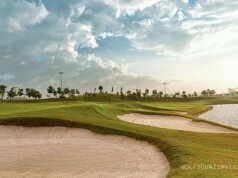 The 3614-yard Sole Course features 9 unique, challenging holes, including many water hazards, bunkers and play around a blue lake. This makes the Sole nine visually appealing and challenging. The biggest challenge for the average golfer will be avoiding the many bunkers and waste areas – so some strategy will be required. 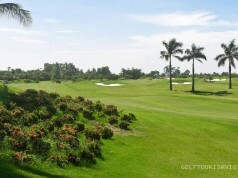 Some Vietnam golfers prefer to avoid the Sole for its unconventional makeup and routing. Regardless, this nine is still attractive with a series of natural water hazards and good tests of golf. Situated at the heart of the 165 hectare site and embraced by rolling hills and landscapes the club house will offer panoramic view of golf course. The stylish club house of modern comforts and a second to none attitude will set Twin Doves Golf Club apart from any golf club in vietnam and make it the most sought-afer golf destination. 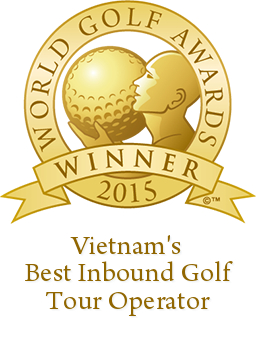 The club house has been operated sin 2011 and won the title of vietnam’s best club house golf course 2012-2013 voted by Judging Panel, golf specialist and vietnam golf magazines’s readers. Address: 368 Tran Ngoc Len St. Hoa Phu Commune, Thu Dau Mot City, Binh Duong, Vietnam.